Nokia’s iconic mobile phone, Nokia 3310 has been finally declared for the Indian market. The company owing rights to the Nokia brand, HMD Global has confirmed that the Nokia 3310 (2017) will be available in India at a “recommended best buy price” of Rs. 3,310 from Thursday. The colors in which the famous phone will be available via offline channels are warm red and yellow both with a gloss finish, and Dark Blue and Grey, both with a matte finish. At the company’s MWC 2017 global launch event Nokia 3310 witnessed a cordial and superb response. The mobile phone was the source of major attention to the people. The mobile phone, Nokia 3310 comes with a new design, which shows rounded edges and robust construction as it used to be. It has been provided with a new curved screen for better readability in sunlight. The mobile phone features new push buttons and a new UI but with likenesses to the original one. 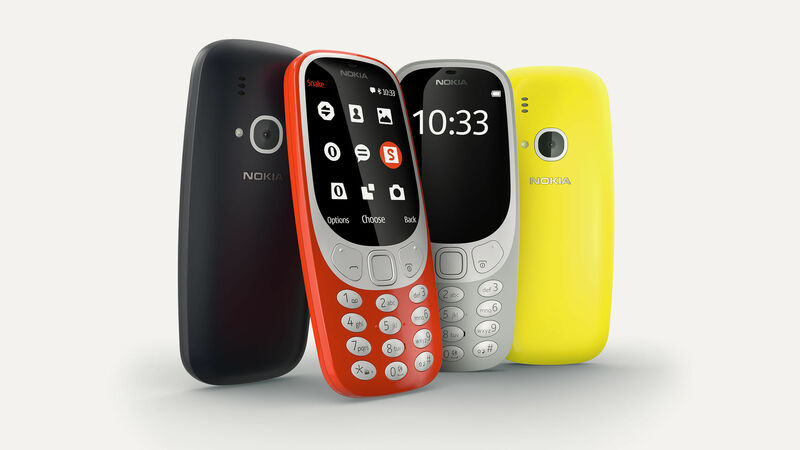 The new version of Nokia 3310 too features a huge standby time of approximately up to a month, which is the touting feature of the mobile phone. The improved version of Nokia 3310 also comprises of the regular Micro-USB port and does not support the pin charger. The phone supports 2G Internet access and Bluetooth 3.0 with Nokia’s SLAM technology. The Nokia 3310 mobile phone features a 2.4 inch QVGA (240×320 pixels) colour display, whereas the original one had 48×84 pixel resolution. It runs on on Nokia Series 30+ OS. Nokia 3310 has 16 MB storage and supports expandable storage via microSD card (up to 32GB). There is a 2 megapixel camera with LED flash on the back. It comes with a 1200mAh removable battery that offers 22 hours of talk time. Another exciting thing for the users is it is also bringing back the famous snake game which used to be our favourite one back then. It also offers FM radio.